Country Garden & Country Group Int. are established since 2006 and located on the historical Panabokke Estate of 1885. 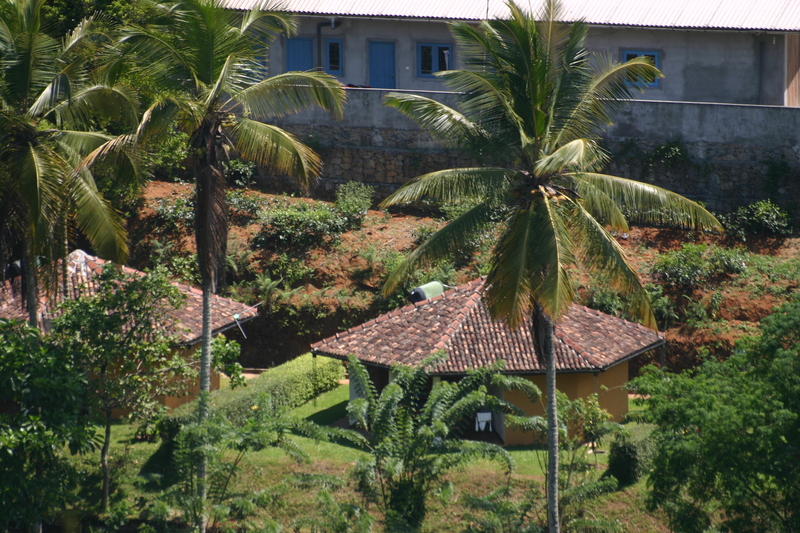 The plantation provides tea and rice, banana's, coconuts, herbs and spices. And is surrounded by teaplantations and paddyfields. Closeby is a lake. From the hostel you have a beautiful view over the green valley. The rooms offer a comfortable bed and facilities for 1-4 persons. Each room has a spacious bathroom with shower, sink and toilet. Room rate per night per person $ 20,- all in. For 1-2 personen is also a room available with sink with use of a a spacious bathroom with shower, sink and toilet. Fixed room rate per night $ 40,- all in. For $ 7,- all in you get a delicious breakfast. For lunches and dinners you can make use of the restaurant. On the menu are Sri Lankan, vegetarian dishes and halal food. A home made pizza is another option. Country Garden & Country Group Int. is close to the famous ancient temples of Lankatilaka, Embekke and Gadaladeniya. You can make a nature walk from the hostel to the lake. And climb the mountains on the opposite side of the valley. An English speaking guide will explain to you all about the marvellous flora and fauna in this area. You can hire the B&B tuktuk or hotelbus suitable for groups. To go to Kandy, to the Temple of the Tooth and to enjoy the Kandy Dance performance. Or to go to the Elephant Orphanage in Pinnewala. You can als stay for a week as a volunteer guest. And assist preparing Sri Lankan dishes and learn how to do prepare. And assist colecting coconuts and banana's and to pluck tea and spices and herbs. And to weed the plantation. You get as a volunteer guest 10% discount on the room rates.